Last term our Year 9’s Invictus class enjoyed their end of term memory moment with a tramping and kayaking trip through Abel Tasman National Park. While this was happening in the South Island, our Year 10 Invictus class were engaged in an age-old learning style; the passing down of knowledge from one generation to the next. This is a process that has happened throughout the history of humankind. 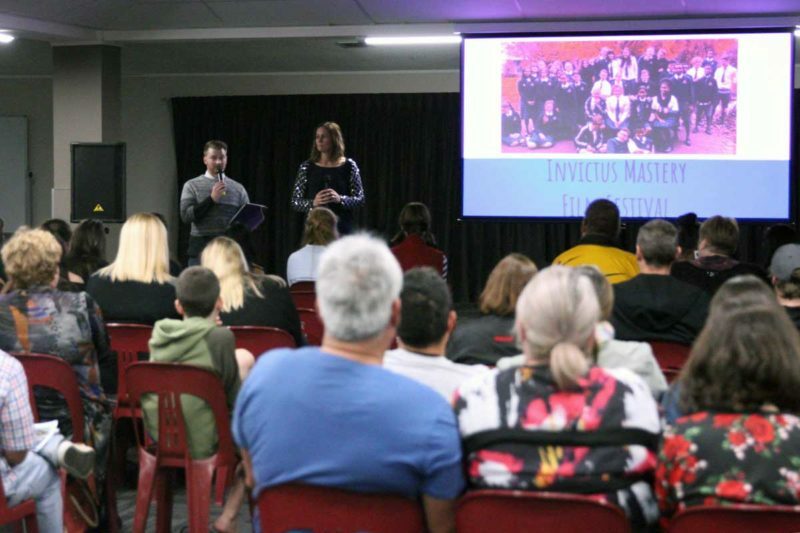 To celebrate the success of our Year 10s, the Year 10 Invictus class had a memorable moment where they celebrated with their classmates, family, and friends on Thursday, 10th May, in the LAC multipurpose room. Our students submitted a film that reflected what they had learnt throughout the term. Each student was required to meet with a mentor and organise a time that they could learn their chosen skill. In doing so, many students demonstrated a significant amount of diligence and determination. A huge congratulations go towards the students who participated in our first ever LAC Invictus Film Festival. Mastering a new skill can often be a difficult, challenging, and yet incredibly satisfying experience. In the Invictus programme, we aim to seek out skills within our staffing body, and cultivate these practical skills in our students, with the help of passionate and inspiring mentors. The transmission of skills from one generation to another is an enduring legacy of the human experience. Invictus participants are invited to take part in this teaching and learning cycle by learning a new skill and presenting it in a fun and quirky way. During this stage of Invictus, participants are encouraged to cultivate individual talents and passions, therefore experiencing a sense of mastery and self-confidence. Overall, the film festival was a huge success with Avantika John, Emily Christian, Karlani King, Makayla Whitbread-Edwards, Molly Pokaran and Olivia Walker, being voted the best film by their cohort. This evening could not have happened without the support from the students, parents, families, mentor teachers and Mrs Korte. A huge thanks to each of you for making the first LAC Invictus Film Festival an amazing and wonderful memory moment for our students.